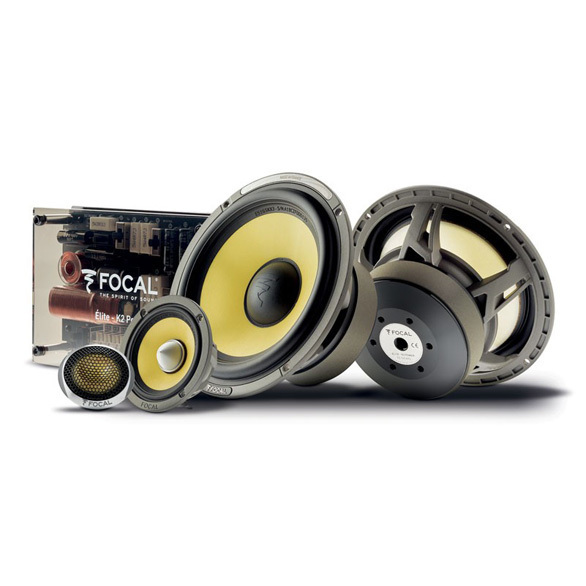 TWO-WAY COMPONENT KIT 6½" / 3"
Composed of two 6½" (165 mm) woofers and two 3" (80 mm) mid-range speaker drivers with Kevlar® cones, it offers a very rich and dynamic mid-range and very low frequency response (45 Hz). 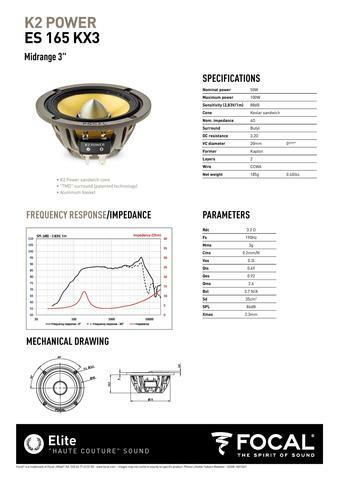 The two bi-amped 'M'-shaped tweeters guarantee a precise high end with perfect definition. 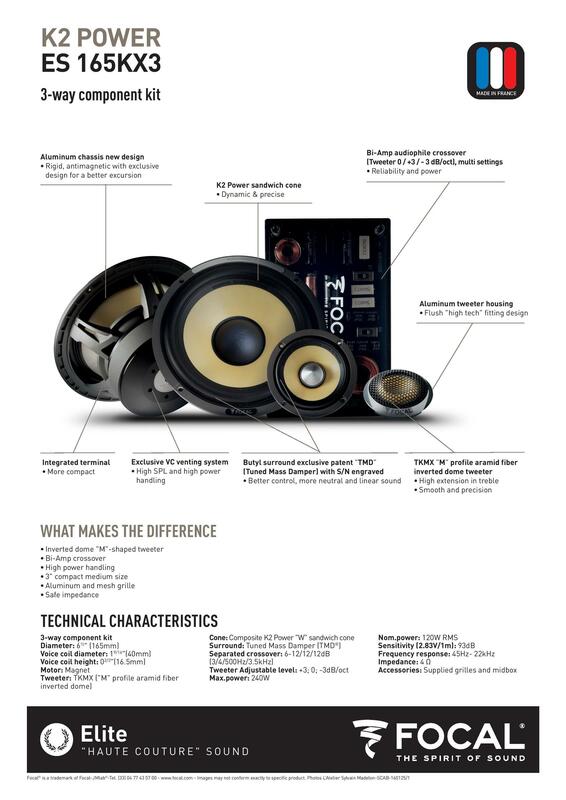 This kit is composed with two 6,5” woofers and two 3” speakers. The ES 165 KX3 is supplied with aluminum and mesh grilles.